I live in Maryland where blue crabs and crab cakes are a staple. I learned to eat blue crabs at a very early age. Knowing how to strip the shell of a blue crab and eat the succulent meat inside in under 5 minutes was a childhood ritual. On hot summer days, my father used to drive us down to the DC Wharf to grab a bushel of live blue crabs. We would bring the crabs home and steam them in beer. My father would occasionally let a few crabs crawl on the floor to scare the cat. Great memories! In Maryland, blue crabs are typically in season from May until October. When they are out of season, I grab some fresh lump crab meat at my local grocery store and fry up some crab cakes. 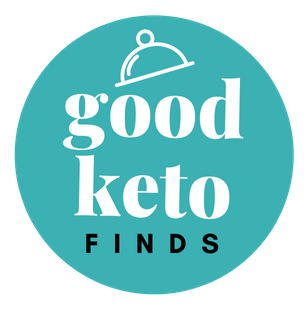 I use a very simple “lazy keto” recipe to create a high fat, low carb keto meal that can be enjoyed in less than 20 minutes. The internal temperature of a cooked crab cake should be 155 degrees F on an instant-read thermometer. Mix everything in a bowl, shape the mixture in mini crab cakes and fry them on each side for 6-8 minutes. Crab meat is naturally low in fat and carbs. To add a bit of fat back in, fry the mini crab cakes in uncured bacon grease or garlic flavored olive oil. Very tasty!